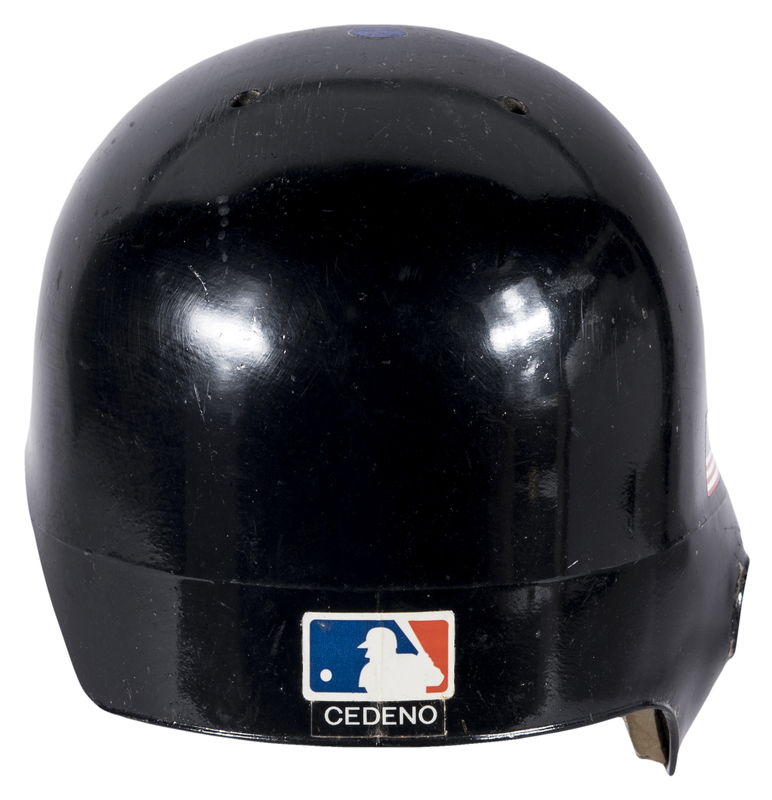 Presented here is a collection of three game used items from the career of Roger Cedeno. 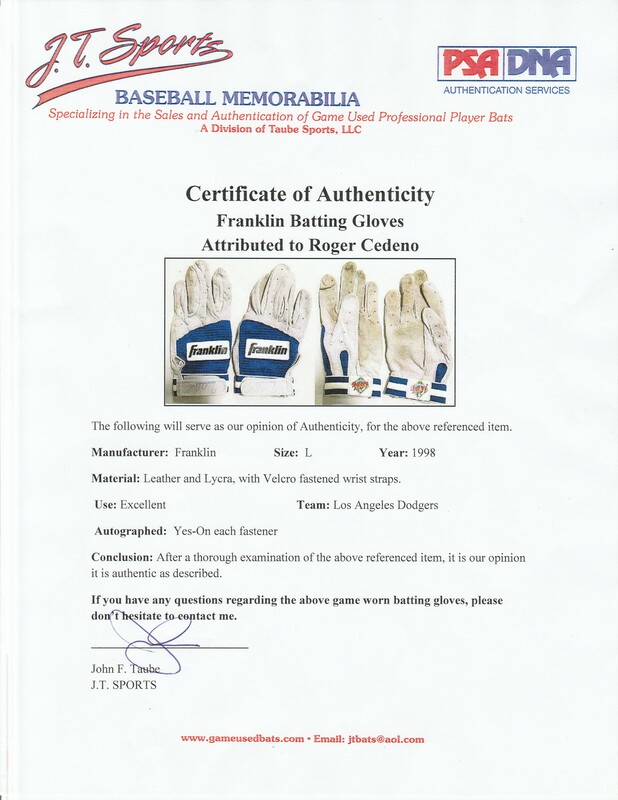 The first item in this lot is a pair of batting gloves worn by Cedeno in 1998, when he was a member of the Los Angeles Dodgers. 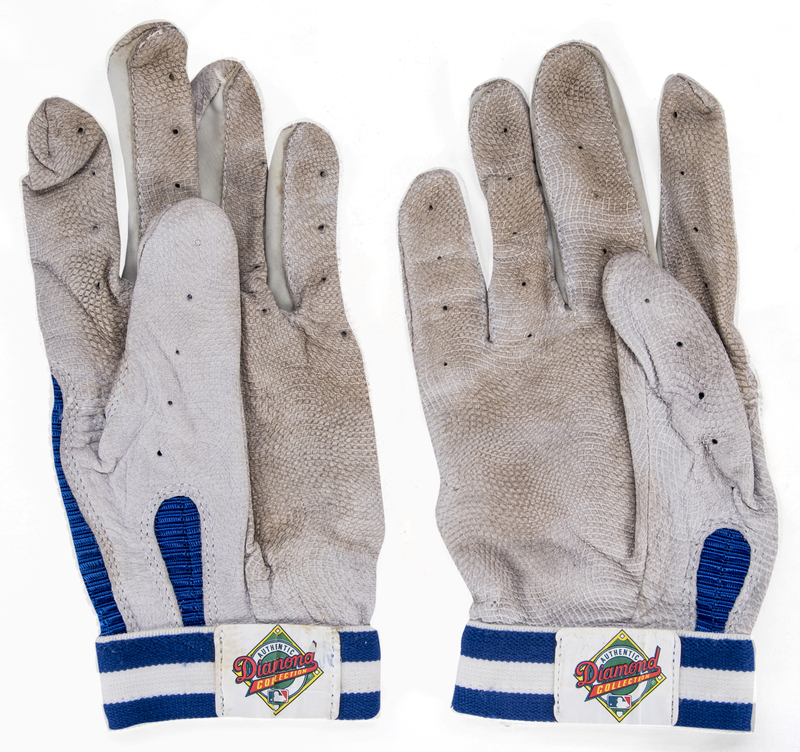 These Franklin batting gloves are blue and white, with a black and white Franklin logo applied to the top of each hand. 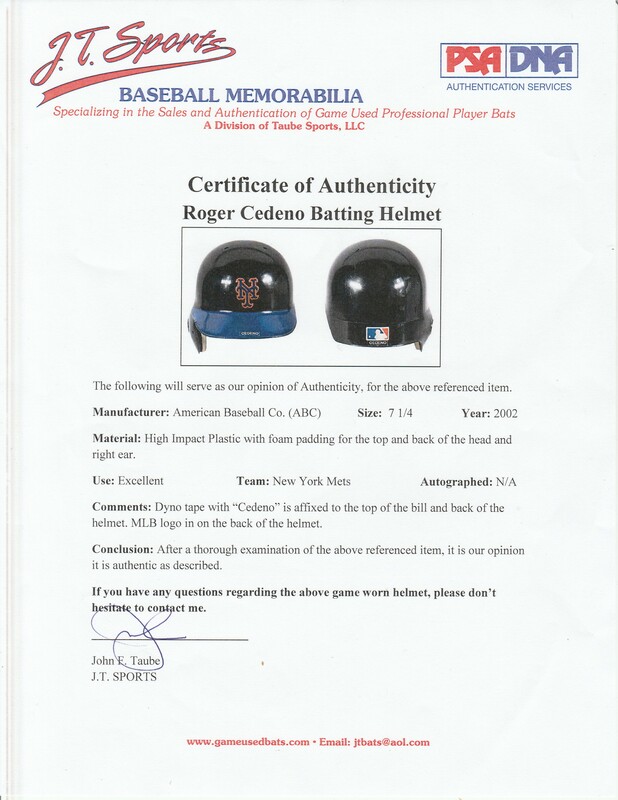 Cedeno has signed each wrist strap in blue pen. 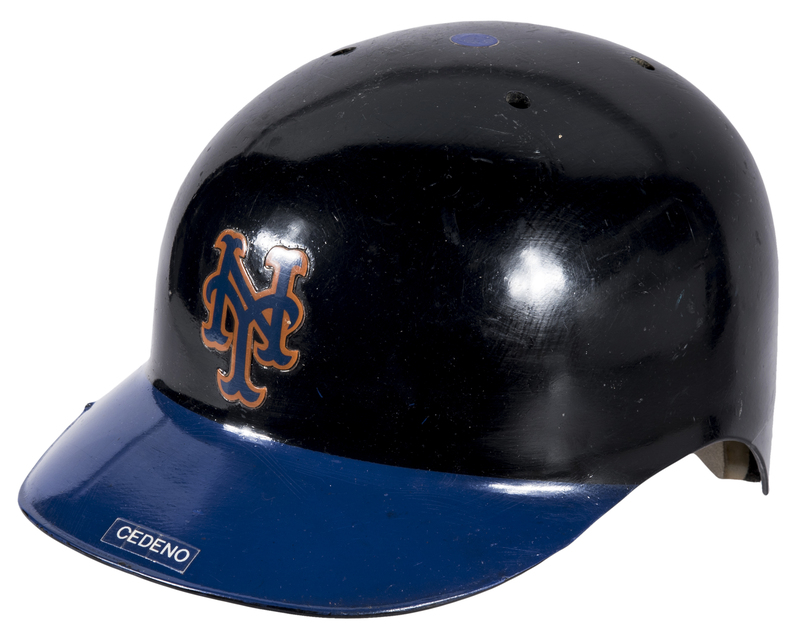 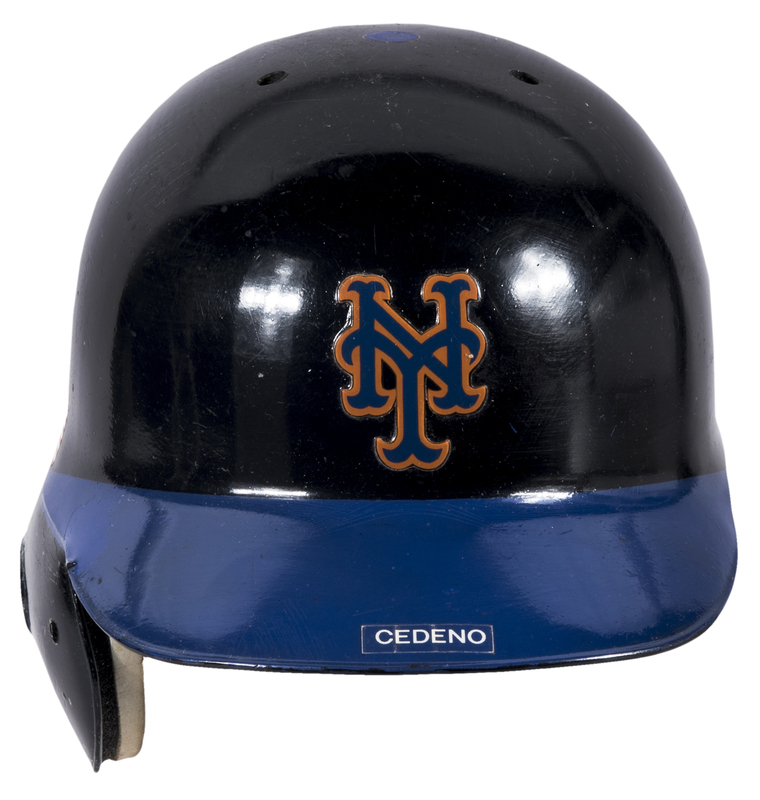 The second item in this lot is a black and blue Mets batting helmet worn by Cedeno. 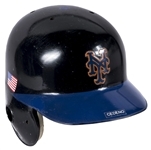 An American flag decal is applied above the right ear flap. The interior padding on this size 7 ¼ helmet is intact. 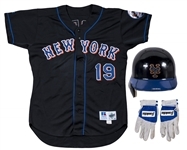 The final item in this lot is a black Mets road alternate jersey worn by Cedeno in 1999. 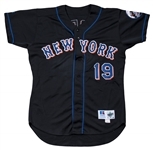 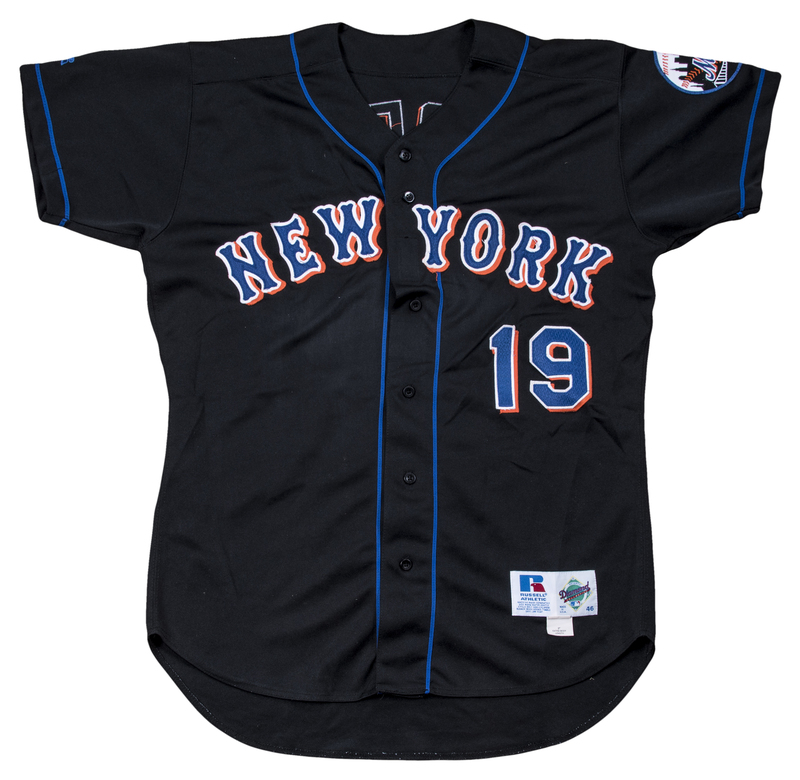 This button-down jersey has “NEW YORK” and Cedeno’s number “19” sewn on the chest in blue, white, and orange tackle twill. 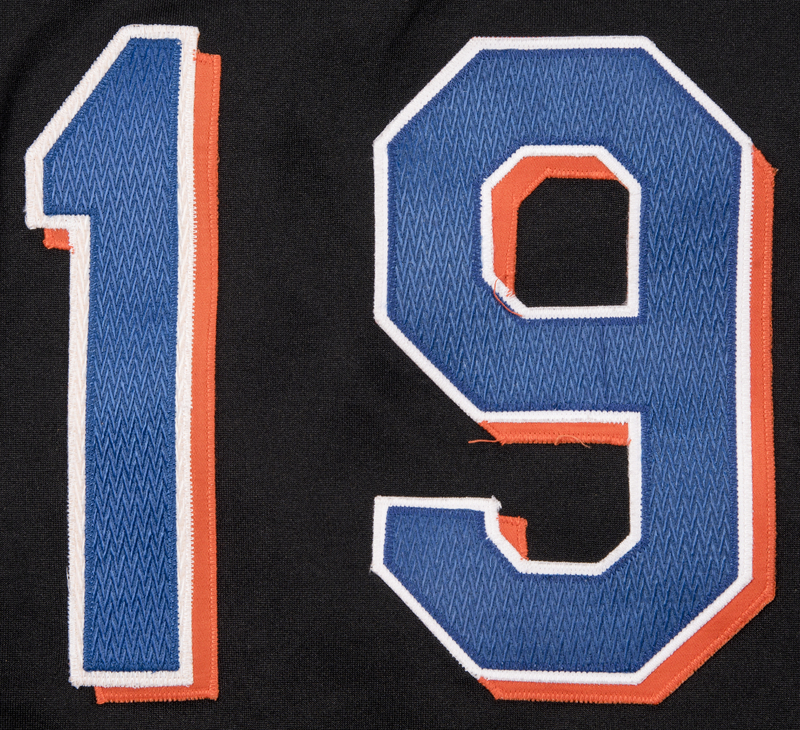 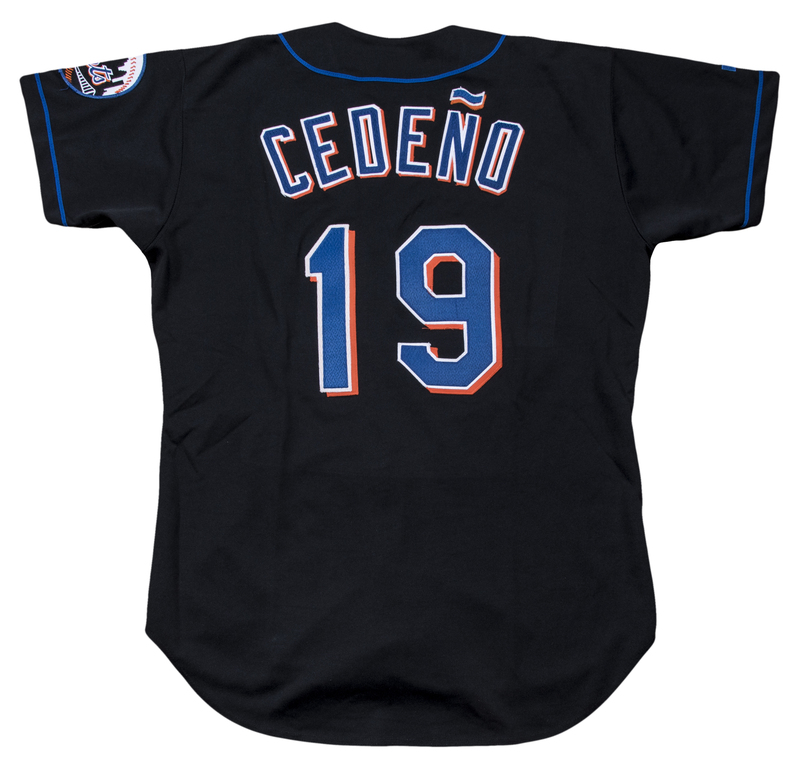 “CEDENO” and a second “19” are sewn on the back of the jersey in the same fashion. A Mets skyline logo patch is sewn on the left sleeve. 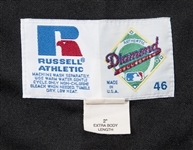 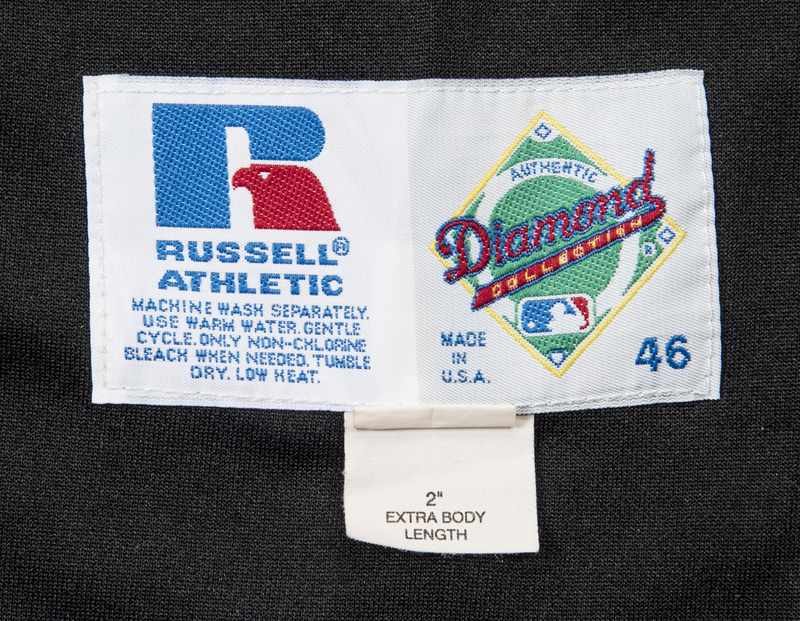 A Russell Athletic size “46” tag is sewn on the front left tail. 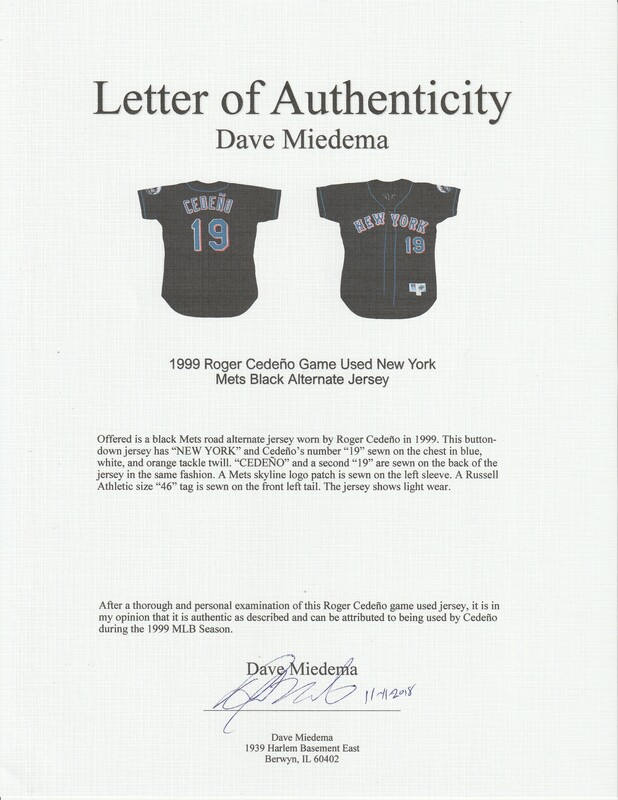 The jersey shows light wear and comes with a LOA from noted game used jersey expert Dave Miedema. A LOA from JT Sports accompanies the batting gloves and batting helmet.